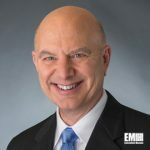 Engility (NYSE: EGL) will continue to provide classified systems engineering, intelligence analysis and program management services to the Defense Department under a five-year, $82 million contract. The company said Tuesday the sole-source renewal contract also includes records and data management support, financial and technical analysis and geographic information systems services. Tony Smeraglinolo, Engility president and CEO, noted that the company has provided longstanding support to DoD.